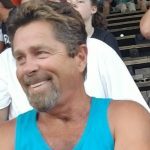 Anthony Wayne Ferrell, 59, passed away on Wednesday December 5, 2018. Wayne was a native and lifelong peninsula resident He attended Warwick High School. He retired from Newport News Shipbuilding in 2009. He worked as a self employed contractor working with Lowe’s installing windows and doors. After retiring he enjoyed traveling and spending time with his family and many friends who will miss him greatly. He is survived by his parents Carlton and Doris Ferrell his wife and companion for many years Cynthia “Cindy” Ferrell and his children, Kimberly Ferrell, Sierra Ferrell, Danielle Ciesynski (Christopher Anthony), Katie Ciesynski, Travis Muckelroy and Michael Howard. ; a brother, Bobby Ray Ferrell and a sister Bonnie Ferrell Young (Robert) 7 grandchildren and numerous nieces, nephews Devin Lindsay, Alex Lindsay, and Brooke Lindsay and many friends. A memorial service will be held at 7:00PM Friday, December 7, 2018 in Amory Funeral Home Chapel. The family will receive friends following the service. Anthony Wayne Ferrell, 59, passed away on Wednesday December 5, 2018. Wayne was a native and lifelong peninsula resident. A memorial service will be held at 7:00PM Friday, December 7, 2018 in Amory Funeral Home Chapel. The family will receive friends following the service.